 Welcome to the first entry of the Flowers by Ellie blog. I’m very aware I need to make it interesting so that you will carry on reading but what topic can I choose that’s most likely to hold your attention?! The flower trucks that travel to Calais everyday that have been delayed due to the refugee crisis? The increase in interest of British grown flowers? Wedding Fair etiquette? I think I’ll start with wedding fair etiquette as it’s less contentious than the first option and I know more about it (at the moment) than the second. 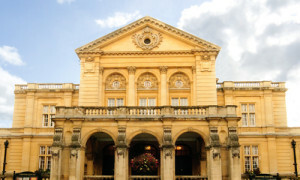 I exhibited at my first wedding fair at the beginning of the month and I have to say I thoroughly enjoyed it. The other exhibitors were very friendly and covered a range of trades associated with weddings including photographers and cake makers (as well as florists like me). However, there were also one or two less expected exhibitors such as a hypnotherapist to calm those pre-wedding nerves, as well as help prepare you for speeches (making them I think, rather than listening to them, but possibly both!) This in addition to managing the stress associated with the fear of flying, for those lucky enough to be leaving Britain for their honeymoon. There was also a cheese company offering the increasingly popular cheese cake rather than (or as well as) the traditional sweet variety. Fortunately they very generously offered samples to the other exhibitors towards the end which was definitely one of the many highlights of the day. Mostly I enjoyed talking to the brides and grooms about flowers, which was a genuine pleasure. Each with their own requirements, which as well as making it very personal for them, makes it much more interesting for me. It was a genuine pleasure from beginning to end (apart from carrying the back breakingly heavy meadow box from my car to the stand) and I am very much looking forward to my next one on Sunday 27th September at Tortworth Court, near Wotton under Edge. Do come along if you or anyone you know is getting married soon. It would be lovely to see you and you never know what unexpected exhibitor you may come across who will brighten your day!